The Summer has gone by fast and we have been very busy providing people with outstanding Remodeling, Handyman and Design Services. We are back on BLOG and want to share some easy PAINT TIPS with you. Paint is an easy and affordable way to change or revamp a space. Using the proper paint color and finish can make a huge difference! Paint can be challenging to select because there are literally millions of colors to choose from. Follow the 5 principles outlined below to pick the perfect paint for any project and any space. Once all the elements going into a room or whole house are selected then I choose the paint colors. I have a vivid memory of clients telling me they had hired a “Colorist” to select their paint colors… I thought… oh brother! 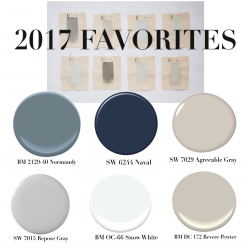 How can someone pick paint colors not knowing what else is going to happen in this home? Bottom line… Paint is the LAST THING I SELECT! When you have decided upon all other elements in your room or house, you are ready to begin paint selections. Gather samples of the items in the chosen space to better guide your paint selection. Sample items may include: artwork, wood stain, flooring, tile, and stonework. If it applies, you will want to take into consideration: bedding, pillows, window treatment fabric, and perhaps, a beautiful area rug! Lay everything out in the room they are going in and pull out your paint swatches. What are the common colors? What ties everything together? What are your light neutrals? Your rich or colorful accents? Pull those colors from your swatches. Lay out virtually every color you see in your selections. Ask yourself if you want your room: Light? Mid toned? Dark? Perhaps you want to paint the main walls a soothing neutral and accent the focal point wall with a deeper or bolder color. Is there a color that connects everything? Can you live with that color surrounding you every day? If not, choose a lighter, muddier version of one of your colors. Keep asking yourself if you can live with it. If the answer is yes – that’s your main wall color! These days I prefer to go with light colored walls to create a backdrop for my furnishings, window treatments, art and accessories. I NEVER get tired of light colored walls. However, there have been times when I’ve wanted to switch things up and paint a wall or two in a fun, unexpected color. If you are looking for some drama or a “wow!” factor in your room, consider painting one wall a different color. The color should be significantly lighter or darker than your main walls. When selecting the COLOR, you will want to think about what will be on the wall in front of your accent wall… furniture, bedding, an art piece, etc. Is there a pop of color in your art or fabrics that you love but would never be comfortable painting all the walls that color? Well…maybe that’s the accent color! How does a sample look? If you love it, that’s your answer! The finish you choose for painting your home is very important and can make a big difference. The flatter the finish the better in my opinion, but your lifestyle and use of the space will also dictate the finish you choose. As far as texture for the wall itself I prefer a smooth drywall texture or a light hand skip trowel. FLAT is for walls and ceilings. Is hides small imperfections. SEMI-GLOSS is used for trim and doors. It will enhance texture and finish. SATIN can be used for trim and walls and will protect walls from moisture. EGGSHELL is used for walls and is also good for protecting walls from moisture. HIGH GLOSS looks best in VERY contemporary homes. Selecting exterior paint colors can be challenging because of direct sunlight changing throughout the day. A solution I have found is to go for a drive in nice neighborhoods and find houses I like the color of. I stop, take photos of the home, and sometimes even ring the doorbell to ask what color it is. If no one is there, I color match with my paint deck! You’d be surprised at how friendly most people are and how often they don’t mind sharing their paint choices. Most often people are flattered that you like their choices.